Emerging Collective is an arts organization supporting artists working at the intersection of activism and the avant-garde. Pioneering the concept of Art NGO, Emerging Collective promotes fine art that advances political + social dialogue. Our aim is to catapult the most promising activist creatives, empowering them to serve as agents of cultural change. We seek out those whose dynamic practice combines the creative power of the arts to move us emotionally with the strategic planning of activism necessary to bring about social change. 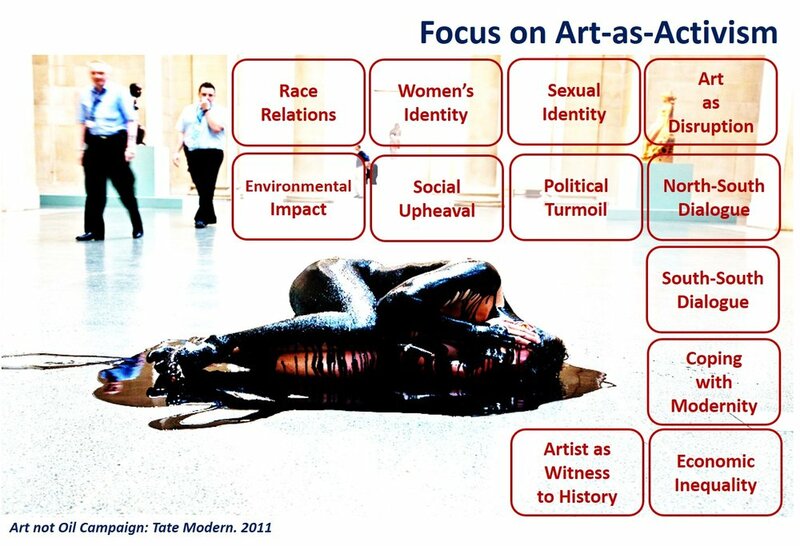 The aim of activist artists is to create work that is a form of political or social currency, actively addressing cultural power structures rather than representing them or simply describing them. Through the ages, art with purpose to create social + political dialogue is the most remembered because it symbolizes humanity’s struggles, celebrations, and all moments in between. The most effective civic actors have married the arts with campaigns for social change, using aesthetic approaches to provide a critical perspective on the world as it is and imagine the world as it could be.